The Jeep 4x4 Truck: Yesterday and Today! Is the Jeep 4x4 truck dead and gone? On the streets we are seeing fewer and fewer older models. And where are the new model 4x4 trucks? The short answer is that Chrysler/Jeep has not built a production pickup truck since 1992 when the great (my bias)Jeep Comanche series was retired. So as the last of the Comanche's (pun intended) and the other older Jeep trucks get even older, attrition will reduce the numbers every year. 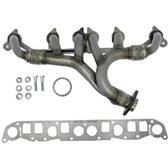 So hang on to and take care of that old Jeep truck. They can only become rarer (and maybe more valuable) with time. 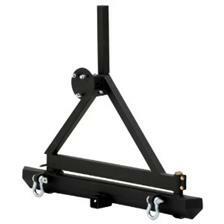 ***Do you have a Jeep Truck? Then tell us about it..
How old is old? 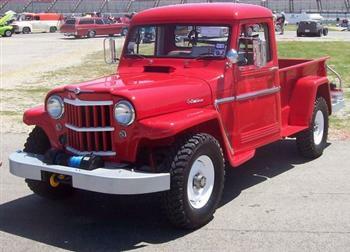 Beginning around 1947 the Willys-Overland Company produced a two-wheel drive (discontinued after 1951) and a four-wheel drive pickup truck. Variations of the 4x4 truck models were built into 1965. (Above and Below) A beautifully restored 1962 Willys Pickup as seen at the Texas Motor Speedway Car Show 2008. These shared the looks and mechanical features of the early Jeep wagons with the exception of having the pickup cargo bed. 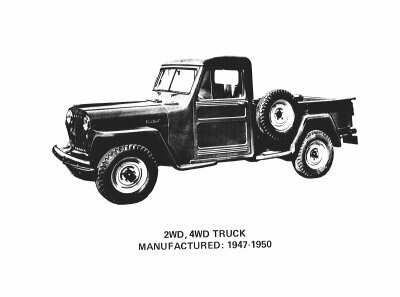 Other Jeep truck (pickup) versions included some of the "Forward Control" models which featured a cab-over (similar to todays vans) style with various cargo bed arrangements such as flat-beds, stake-beds, dump-beds, closed beds and standard pickup style beds. 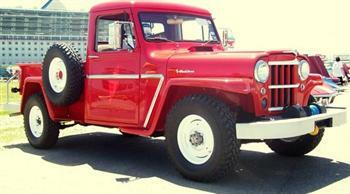 These 4x4 trucks were produced from about 1957 through 1965. 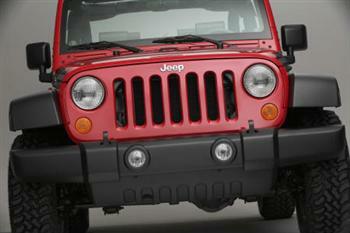 Take a closer look at the Jeep Forward Control 4x4 truck...here! 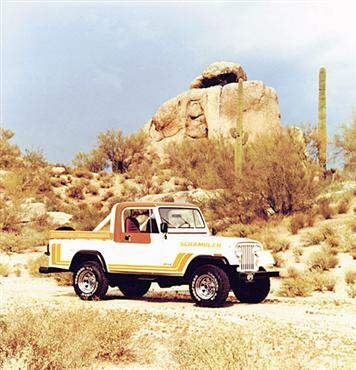 A few years before the demise of the Willys pickup and Forward Control the original Gladiator pickups were introduced beginning in 1963 and produced through 1970. The Gladiator's were constructed almost entirely on the Wagoneer platform and came in various designations using the "J" prefix (i.e. J-200 to J-4000). 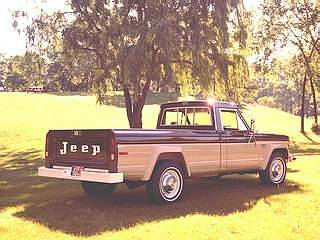 Around 1970 American Motors Corporation (AMC) purchased Jeep from Kaiser and continued the J-Series pickups (J-10 and J-20) again sharing most of the Wagoneer platform with few other changes. In 1976 AMC took a crack at producing a cool factory customized J-series pickup called the "Honcho" which has become quite a rare find today. 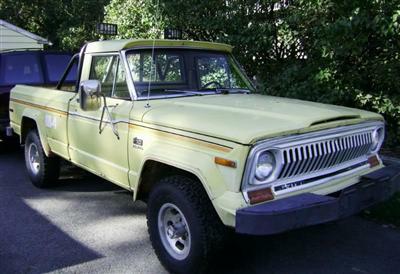 1982 Jeep Scrambler CJ8...Click on the picture to learn more! 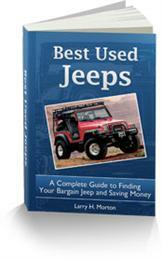 The J-series pickups were discontinued in 1987 when Chrysler purchased Jeep from AMC. Finally, in 1986 a new Jeep truck style called the Comanche emerged from the base platform of the relatively new SUV Jeep Cherokee XJ. The Comanche is my personal favorite, not just because I have an original 1987 4x4 long-bed, but also because being a "midsized" pickup it was an alternative to the full-sized monsters coming out of Detroit at the time. Chrysler axed the Jeep Comanche pickup in 1992 primarily because of not-so-impressive sales, but Chrysler also had the successful mid-size Dodge Dakota available in two- and four-wheel drive which may have influenced there final decision as well. ***Are you proud of your Jeep Truck? So, no Jeep trucks since 1992? That just doesn't seem right. The Japanese and other importers have produced some fine rugged and dependable pickups in recent years. 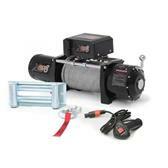 Off road trucks are in big demand for everyone from the contractor to the enthusiast these days. The real travesty is that the Jeep truck, also an American Icon, can and should compete with the imports. Look, no other vehicle on earth has the rough and tough pedigree of a Jeep, or the name recognition for such ruggedness. Over the past few years Jeep has toyed with some "Concept" Jeep trucks with some promising models possibly on the horizon. These beauties could satisfy those wanting a 4x4 truck for use as "workers", off road trucks...or just to have a really cool Jeep to fulfill that Jeep Mystique. But I would humbly caution Chrysler/Jeep to not over-price or over-equip whatever they produce for Jeep now and in the future, as they have priced many enthusiasts out of the market. A really back-to-basics, reasonably priced model with all the ruggedness expected, but fewer frills would be appreciated by many including myself. Go ahead and built the "posh" models for those who want and can afford them, but please don't forget the average "Joe"...or Larry in this case...who love Jeeps for their simplicity and function. 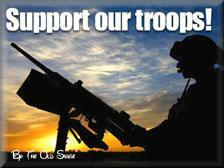 We can always add to them later! 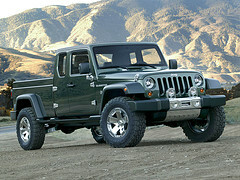 Here's a nice concept pickup...Jeep JT...take a look! And Now A Video Sampling of Jeep Pickups! 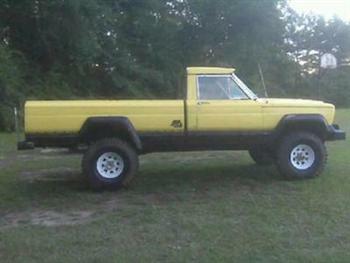 ***Do you have a story about a Jeep Truck? 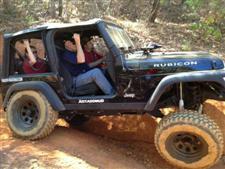 Off Road Trucks...Keep These Jeep Trucks Alive! Old Jeep Comanche Challenges a Jeep Wrangler Rubicon...No Way! Postal Jeep DJ's and FJ's ready to deliver!